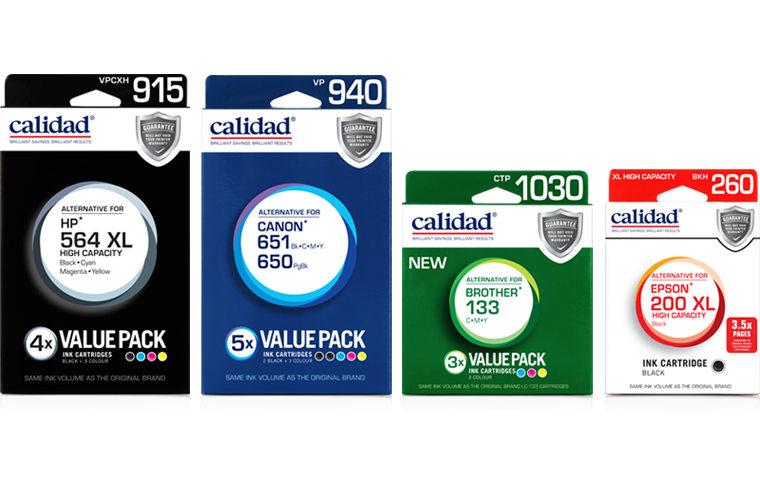 Calidad Laser Toner Cartridges offer savings of up to 50% compared to the cost of an original cartridge whilst delivering a printing solution you can rely on every time. 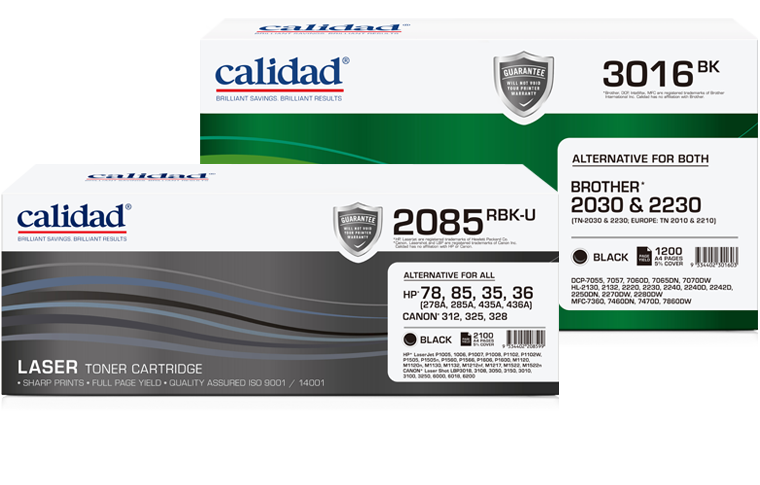 Calidad has over 35 years experience in the manufacturing of alternative printing consumables. An easy to use printing solution you can rely on every time. 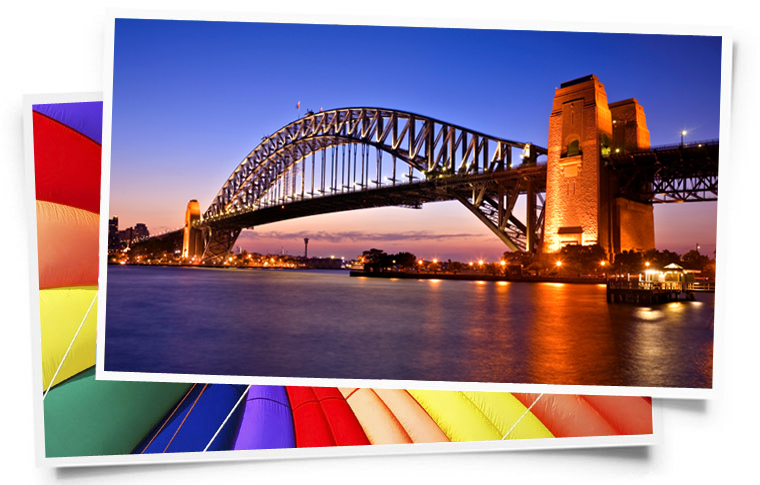 Calidad Ink and Laser Toner products produce vivid, vibrant and rich colour reproduction for photo or image printing. Deep, sharp black tones for text printing. and the printer you use it in.